As a student at Princeton University, Jessica Hulsey Nickel stunned a professor, who'd been interested in the star student's background, into silence when she admitted that her parents had a highly unusual home address by Ivy League standards: the streets. "We were often homeless and living in cars or motels, seedy motels, flop houses. My parents were in and out of jail and prison and my sister and I were in foster care for a bit until we were placed with our maternal grandparents and raised by them," Nickel told IWF. Nickel's parents, both of whom had family histories of addiction, had begun using drugs and alcohol in their early teens and had graduated to full-fledged heroin addiction by the time they were raising their two daughters. Jessica and her younger sister got used to spending days left alone in a parked car or having their parents' drug dealer as a babysitter. "What the science tells us about that is while you have more men who struggle with addiction, the women who start developing addiction tend to use more and it worsens more quickly. But this is equal opportunity without regard for gender, race, socio-economic background." 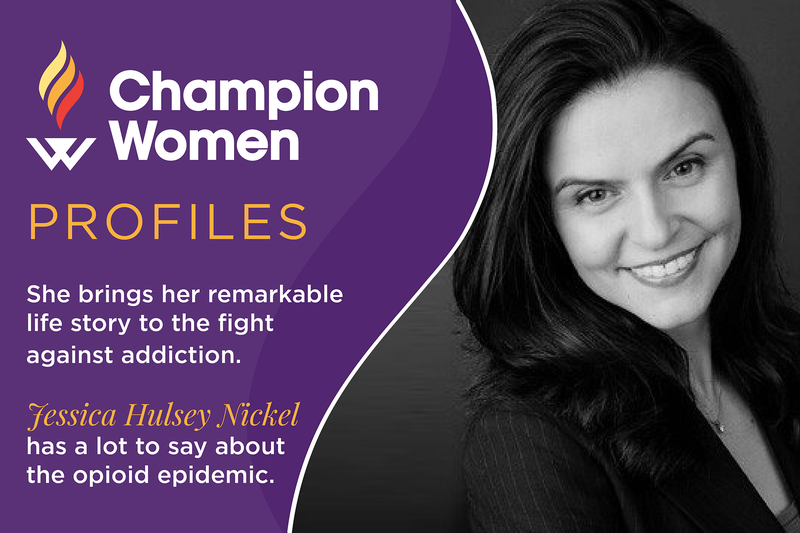 Now President and CEO of Addiction Policy Forum, Nickel brings to bear her remarkable personal story in addressing the public and personal aspects of addiction, including the current opioid epidemic. She spoke to IWF on the day that the Centers for Disease Control released a report that projected that 72,000 Americans had died of drug overdoses in 2017, a record high. Certain opioids were found to be particularly dangerous, accounting for more than half the deaths. Fentanyl, an illicit synthetic opioid, contributed significantly to the death toll. Much sought after by the media in the wake of the CDC report, Nickel stressed her view that it is "critical that we expand addiction resources to every state in an attempt to stop these numbers from rising." Along with a growing number of researchers, Nickel regards addiction, including opioid addiction, as a brain disorder. "It is a health condition, an illness that affects two main parts of the brain that handle impulse control and our reward circuitry for how our brains function. We have misinformation and some myths that exist and persist in this country. Only about half of the country sees this as a health condition, so we need to get the right info out to the other half. " The Addiction Policy Forum, which Nickel founded in 2015, promotes awareness of drug addiction and works on responses that include prevention, treatment, recovery, and criminal justice reform. The Addiction Policy Forum (APF) advocates for research into the causes and treatment of drug addiction, criminal justice reform, and developing the resources to help families in crisis. While the CDC report laid out the opioid crisis in numbers, Jessica's childhood experiences give a startling look into the dark reality of addiction. At the age of eight, Jessica and her sister were discovered in an abandoned car. They were put into protective custody and placed in a juvenile center in Los Angeles. Another childhood memory was visiting her mother's boyfriend, who was in prison at the Federal Correctional Institution at Terminal Island for parole violations. He subsequently died from drug-related health problems. "My memories of him may not extend much beyond the prison bars and walls, but it hurt to see him die," Jessica once said in a speech. Jessica and her younger sister got used to spending days left alone in a parked car or having their parents' drug dealer as a babysitter. Fortunately, Jessica gained stability when she went to live with her grandparents. While there, Jessica excelled in high school, becoming editor of the school newspaper and captain of the cross country team. Even then, she made it a point to speak out against drugs, including telling her own story. Serendipitously, this led to a chance to go to Princeton. Peter Ochs, an Orange County philanthropist and Princeton graduate, heard Jessica speak at a United Way luncheon when she was a senior in high school. Ochs "saw a spark" and felt that Jessica's talents could be developed at his alma mater. But Princeton would benefit, too. Ochs believed that Jessica "would add a huge amount to the university and also gain a huge amount by being there." Nickel thought Princeton was unrealistic, given her family's modest means. When offered a scholarship to Princeton, she was "terrified," but nevertheless seized the opportunity. Ochs' faith in Jessica was rewarded. With drive and hard work, Jessica, an English major, graduated with honors. In addition to academic success, she was elected president of the Kappa Alpha Theta sorority and was active in the Episcopal Church and mentoring kids in local public schools. As always, helping those struggling with addiction was her passion. While at Princeton, Jessica served countless hours as a volunteer at Corner House, a drug counseling center. 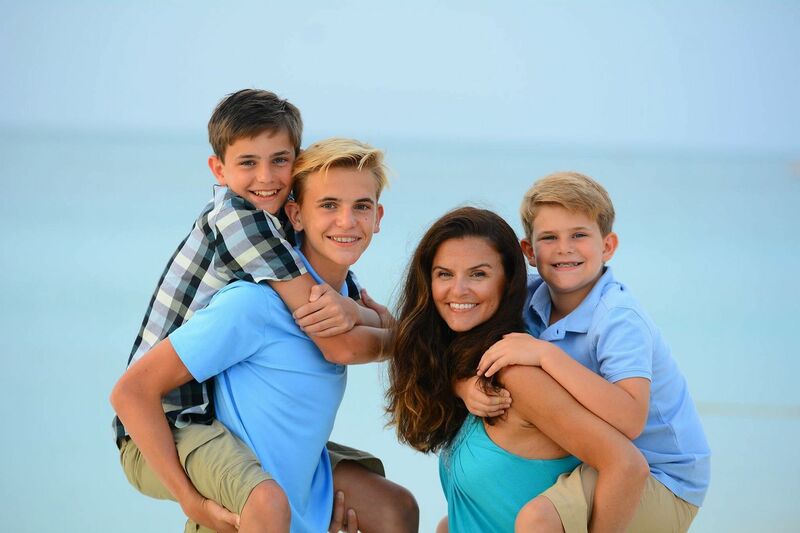 "I enjoyed every minute I had at Princeton," Jessica, now 42, a resident of the Maryland suburbs, and the mother of three sons, said. She attributes her ability to triumph over her challenging childhood to "a lot of intervening moments that created new possibilities for me." She cites being able to live with loving grandparents, after the trauma of foster care and living on the streets, involvement in church activities, activities such as cross-country and working on the school newspaper, as crucial. Also key to her ability to triumph over difficult circumstances, she says, were court-mandated mental health services during her childhood. Therapy was "very, very critical," she says. "I had lots of the pieces that I needed woven together to help me hop on another path," she explains. "At the end of the day that’s really what it was." This might underestimate Jessica's own courage and fortitude, which were captured in Ohio Governor John Kasich's 1998 book Courage is Contagious, about ordinary people who overcame extraordinary obstacles and contributed to the lives of others. But it is the viewpoint that has driven Nickel's dedication to working to ensure that others get the tools to deal with drug addiction. From Princeton on, Nickel has been involved with the issue of drug addiction. In 1998, President Bill Clinton appointed Nickel to the Drug-Free Communities Commission, which helped with implementation of the Drug-Free Communities Act of 1997. Nickel served as a legislative aide to now-Senator Rob Portman, when the Republican legislator was in the House. Nickel worked on issues related to substance abuse and criminal justice. While on Portman's staff, she was involved with the Second Chance Act, the Speaker’s Drug Task Force, the Drug Free Communities Act, the Drug Impaired Driving Act, the National Youth Anti-Drug Media Campaign, and the Drug-Free Workplace bill. She was front and center when drug addiction emerged as an issue in the 2016 presidential election, hosting a speaker forum on drug addiction in New Hampshire. Nickel believes that the approach to addiction must be comprehensive. Her group recently launched an Emergency Medicine Initiative in partnership with Yale Medical School and the American College of Emergency Physicians (ACEP). She explains, "We must integrate treatment of addiction into our healthcare system. We know that people who have had a nonfatal overdose are at heightened risk for fatal overdose, making the Emergency Department a critical intervention point. By changing how we respond to a nonfatal overdose and implementing the necessary protocols, we can have the biggest impact and save the most lives." APF calls for more resources for families and research and even operates a helpline for people who have questions about addiction or need help. "Prevention is not drug education," Nickel says. "Telling your kid 'this is cocaine, and this is heroin, and don’t use those,' that does not help to prevent substance use disorder. We need to build resiliency and life skills and make sure that we are connecting families with the right information, have more parent education in place, as the prevention component it is really critical. And lastly the child welfare piece is critically important to help our most vulnerable kids." "We have focused on trying to partner with the pharmaceutical industry and anyone who has an R&D budget that can help us build better treatments, medications and technologies to treat this illness," Nickel says. Nickel believes there is a role for government. "We've been working on a federal package with really important policy changes. Some of my favorite ones in there are to make it easier to provide telehealth and telepsychiatry for addiction. We have pockets of rural counties and communities in this country that have really low resources, or lack of capacity altogether to provide evidence-based treatment for addiction. By expanding our usage of telehealth and telecounseling we could really meet the gaps that exist there. The opioid package also includes important prevention and child welfare funding, and programs to expand our workforce. We need to incentivize more practitioners coming into this space. We also need to fix something called the IMD exclusion, which is a random bureaucratic limit that states that you can’t get public reimbursement for treatment if a facility has more than 16 beds." It has become popular to sue drug companies that manufacture addictive products. This, Nickel says, can be counterproductive. It is better to enlist drug companies in the fight against addiction (she also cares about the ability of people genuinely in need of pain-alleviating products to get them). 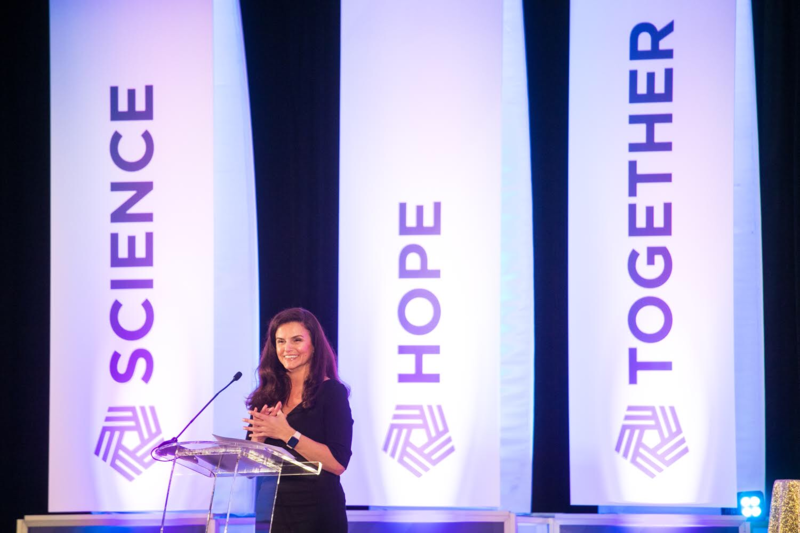 "We have focused on trying to partner with the pharmaceutical industry and anyone who has an R&D budget that can help us build better treatments, medications and technologies to treat this illness," Nickel says. "We have three medicines for opioid use disorder, but we have no medicines for methamphetamine use disorder, which is still ravaging most of the Western states. We have no medications for cocaine use disorder, which is causing a growing number of overdose deaths, particularly in African-American communities. We don’t have medications for benzodiazepine use disorder, which leads to a very, very dangerous withdrawal process. So, we need innovations and advancements in many areas. We need to be tackling this like any other disease or illness and that happens in laboratories, and in exam rooms, and with R&D budgets, not by filing lawsuits." Addiction Policy Forum also proposes that the criminal justice system could help people "get connected" to treatment programs. "We have seen some of the best innovation come out of criminal justice," Nickels says. She singles out the Essex County, Massachusetts District Attorney Jonathan Blodgett's work as a model. Non-violent offenders charged with drug-related crimes can be sent to treatment instead of being prosecuted. If a participant fails to complete treatment, he will be charged. Those charged with possession or intent to distribute are not eligible for the program. She also praises an innovation in Pennsylvania. "The Pennsylvania prison system uses the medication naltrexone to start treating inmates who have an opioid use disorder and then follows it up with a reentry plan so they can be successful once they are released," Nickel notes. "We should look at criminal justice as an opportunity to make sure that people with a behavioral health disorder, especially those with a substance use disorder, get connected to the things that they need to stop that progression of that disease and divert them into the right pathway." Nickel is asked: Are women affected differently from men? "What the science tells us about that is while you have more men who struggle with addiction, the women who start developing addiction tend to use more and it worsens more quickly, so there are some differences. But this is equal opportunity with gender, race, socio-economic background. The good news is that we have more knowledge and more resources in our toolbox than we ever have. We just have to start using them and applying them better." And that just might be Nickel's message: though the numbers are dire, there are innovaive programs and tools to fight the opioid epidemic, if the right approach is adopted. The other message is one of Nickel's personal triumph over family tragedy, which holds out hope for other families struggling with addiction problems. Nickel will be speaking at IWF's September 12 panel on the opioid crisis, along with Charmaine Yoest, Associate Director of Office of National Drug Control in the White House. Register to attend that conference here.